Styled with alyona jacket and hayley pant . Let the Brigette work its magic. The curved hem elongates legs while leaving the buttons undone shows some (tasteful) skin. 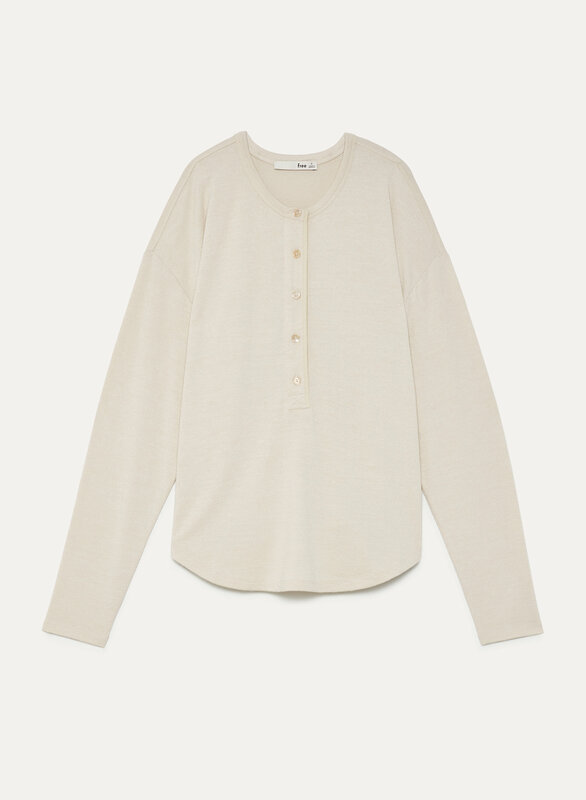 With a relaxed, drapey fit, this henley bridges the gap between casual and refined. 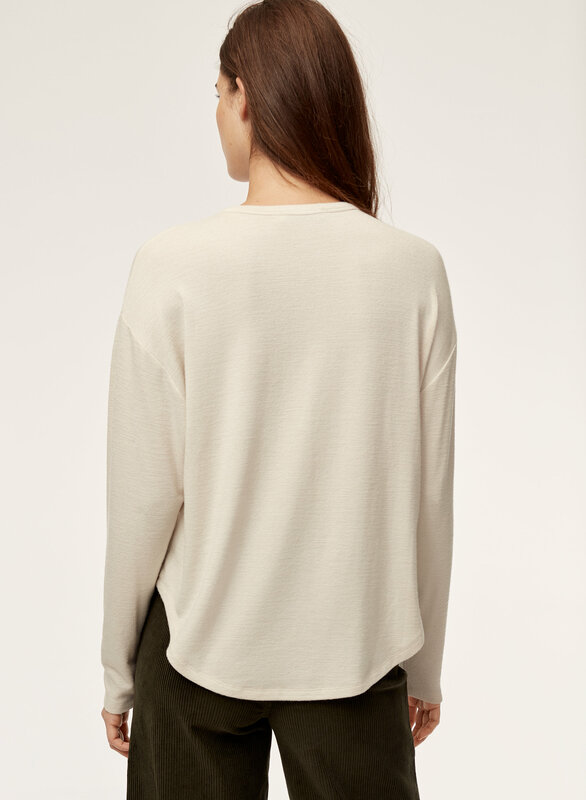 This is a really great top that truly grows on you after time. 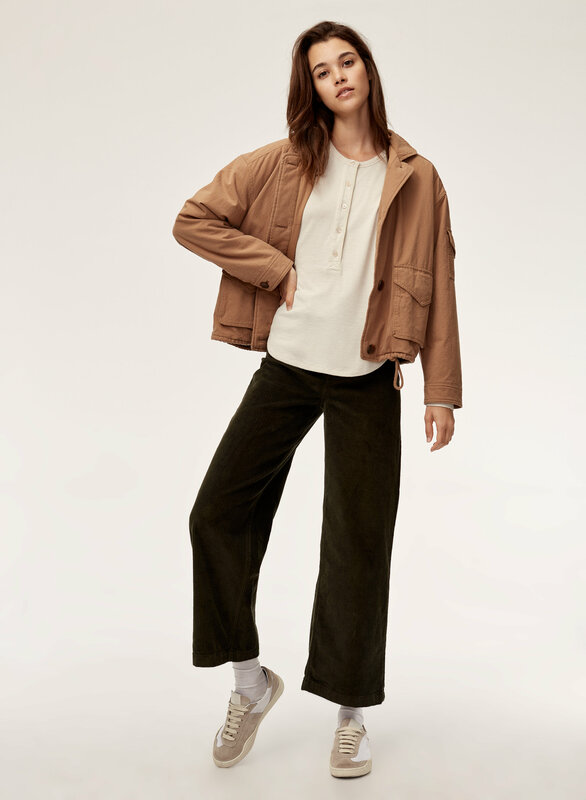 After my second wear I could only wonder why Aritzia doesn't offer it in other colors like olive green, burnt orange burgundy, etc. The style is super flattering and looks great with flares or bootcuts. Size down if you want a more structured fit, but with your usual size, you get the *cool girl" feel. Literally one of the best things i've ordered from Aritzia! And i've ordered soooo much! 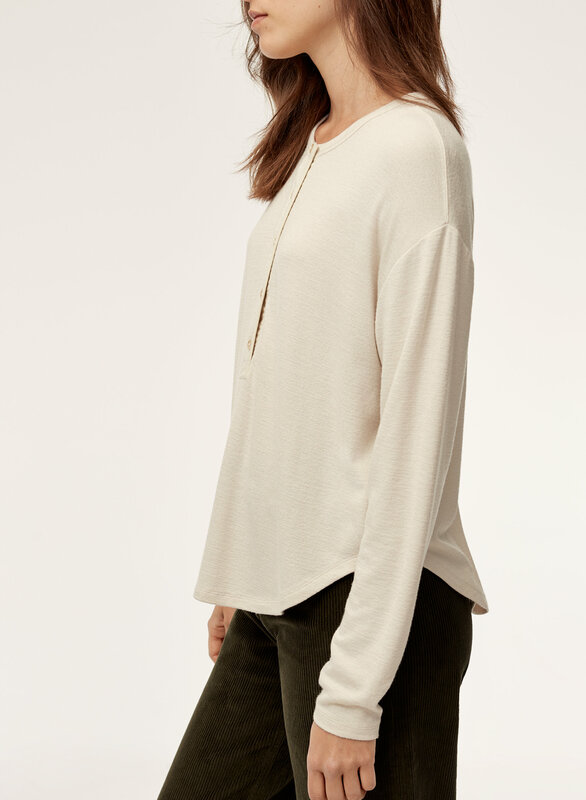 I love how incredibly soft this shirt is and how simple and classic it looks! It's also very versatile!